Stay in touch with me! Be the first to get freebies, new posts, giveaways, and announcements. This post contains an affiliate link. Here's what that means. An elemental diet is a liquid formula, or shake, that provides all of the macronutrients a person needs to survive. These nutrients are broken down into their simplest form. This makes an ED extremely useful for those suffering from gastrointestinal conditions such as IBD, IBS, SIBO, and others who have an impaired capacity to digest, absorb, or metabolize certain foods and nutrients. Elemental diets are used to treat and support certain GI conditions and can provide digestive relief for individuals who otherwise may not be able to properly absorb nutrients. I, personally, found the elemental diet to be a huge help when I was suffering from a debilitating gastritis flare. It provided relief when I couldn’t get solid foods down and I still have it on hand to use as needed. While there are several different elemental diet brands on the market, it’s important to note that Integrative Therapeutics Physician’s Formula is a full elemental diet formula. The main difference between a semi-elemental diet vs. a full elemental diet boils down to peptide chain length. Semi-elemental formulas contain peptides of various chain lengths, meaning the nutrients in these formulas are not broken down into their simplest form. This may lead you to believe that a semi-elemental diet is not as well tolerated as a full elemental diet, but I would encourage you (with your doctor’s approval) to always test a formula to your level of toleration. Don’t knock something just because you think you might have a reaction to it. That’s an easy way to cater to food fears. Studies have actually shown that semi-elemental formulas are equally as effective as full elemental diet formulas. However, if you are seeking a full elemental formula, both versions of Integrative Therapeutics Elemental Diet certainly meet these criteria. Integrative Therapeutics has two full elemental diet formulas. Personally, I ended up going with the dextrose-free formula because it was what my practitioner recommended. While both formulas are hypoallergenic (free of common food allergens), the dextrose-free formula uses just tapioca and maltodextrin as a carbohydrate source, rather than a combination of the three. Dextrose can sometimes raise blood glucose rapidly and cause problems with toleration, which is why my practitioner guided me in the direction of the dextrose-free version. In general, the dextrose-free version will probably be better tolerated, but likely only in individuals with severe inflammation and GI issues. The regular version has been around longer and will still definitely get the job done. It is also important to note that both Integrative Therapeutics Elemental Diet formulas require a practitioner prescription to purchase and use. Keep that in mind when deciding which ED formula is right for you. Now, let’s move on to the “specs”. Integrative Therapeutics Dextrose-Free Elemental Diet formula comes in at around $130 U.S. Dollars. This makes this brand one of the more expensive products on the market. However, if you are purchasing through an online dispensary such as Fullscript, practitioners will often have a certain percentage off of supplements ordered through them. With a 10% discount through my practitioner, this ends up being a whopping $117 U.S. Dollars for one bag. That’s a great “bang-for-your-buck” for someone like me, who uses this formula as a substitute for intermittently fasting or skipping a meal (which I often do with an upset stomach). Using my one bag “as needed”, I’ve been able to make it last about 4-5 months. However, if you will be using the ED as a treatment option for SIBO (only ingesting the elemental diet and nothing else), you will go through it much faster and won’t be able to just “wing it”. You will have to make sure you are getting enough calories in with the elemental diet so you’re able to function and not rapidly lose weight. Integrative Therapeutics actually offers a helpful dosing calculator on their website. You can input your height, weight, age, gender, and even exercise level to calculate how many calories you’ll need in a day. It will then tell you exactly how many bags you’ll need of the formula of your choosing. As a small (underweight) female with light exercise activity level, I would need about 5 bags of the Dextrose Free Formula for a 14-day period, which would bring my total to around $650 + tax. For a 21-day period, it would be about $910 + tax. As most people weigh a little more than I do, are taller, and may have a higher activity level, the cost of a 2 to 3 week ED treatment course will likely be in the $700 to $1,000+ range. Just something to think about as you are figuring out what works for you financially. If you’re going to be ingesting nothing but an elemental diet formula for 2 to 3 weeks (and spending a lump sum on a bag of this stuff) you want to be able to tolerate the taste. I get it. I can’t speak from experience as this is the only formula I’ve actually tasted. 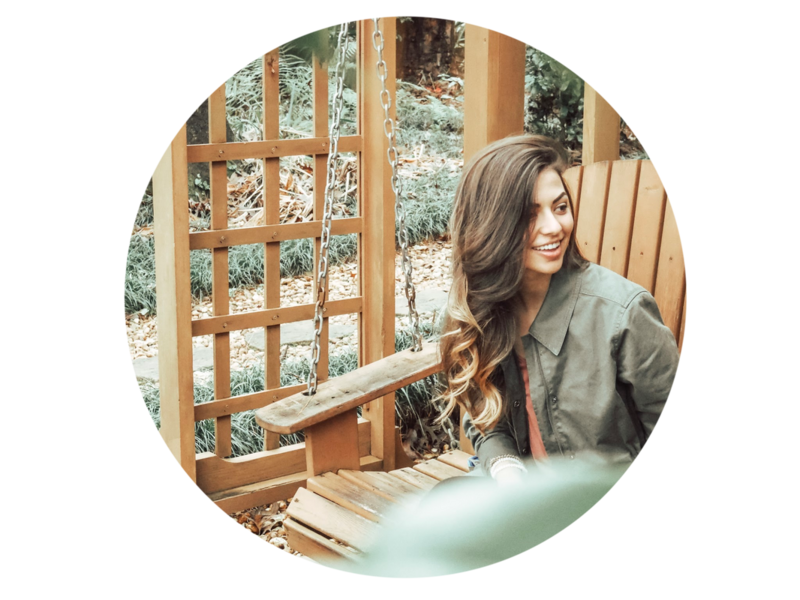 However, after watching SIBO experts like Dr. Siebecker, Shivan Sarna, and hearing from several other patients, Integrative Therapeutics Elemental Diet brand is one of the best-tasting formulas out there. Against all logic, I was expecting it to taste like a vanilla milkshake. It doesn’t. It tastes more like stale vanilla cake blended up into liquid. It’s very sweet. Like Chick-Fil-A lemonade. However, as time went on, I genuinely grew to crave the shakes and enjoyed the taste more and more, unlike Katie Caldwell in all of her elemental diet woes (you should give her blog a read if you need a good laugh from someone who has been there and gets it). TASTE TIP: I’d highly recommend blending the formula up with ice. It gives it a “slushie” feel and definitely helps with the taste, especially when you’re first trying it out. Avoid lukewarm ED at all costs. Watch the video above or click here to watch how I like to make my elemental diet. It’s great for my needs (using it for flare-ups or intermittent fasting) and is an easy way for me to make sure I can get nutrients in when I’m having malabsorption issues. It’s a high-quality product and I’m able to tolerate it well, which is the biggest determining factor to me whether this product is worth the money or not. If I did have to use this product as a treatment protocol for SIBO, I would talk to my doctor about opting for a 2-week course, rather than 3 for the sake of price, but also because I am already underweight to begin with. If this product is out of your price range, there are certainly other options out there such as Vivonex Plus, Absorb Plus, or even home-making your own elemental diet formula. These are great options if this is simply not in your budget. However, if you did have the budget for it, I’d come back to this product every time. Between the quality, taste, and saving yourself the headache of making your own formula, it’s so worth it to me. I’d choose this brand again in a heartbeat. What do you think? Have you used Integrative Therapeutics Elemental Diet before? Would you mind sharing your experience in the comments below? I'm Stephanie, a 24 year old wife, dog mom, and taco enthusiast. After being diagnosed with chronic GI issues, I turned to holistic nutrition and lifestyle changes to heal. Let's get well together.